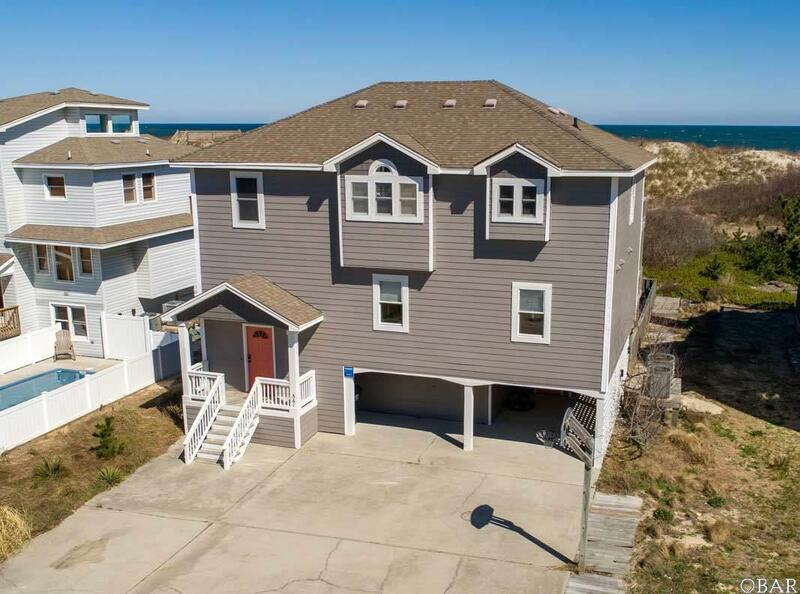 Oceanfront home with spacious reverse floor plan, 5 ensuite bedrooms including a top floor master with ocean views, open kitchen/dining family room with ocean views, granite countertops, fireplace and convenient half bath. 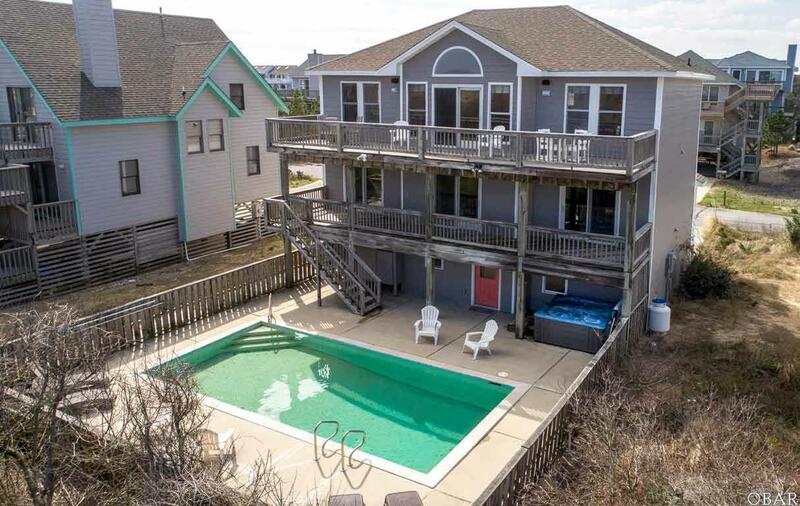 Three of the ensuite bedrooms are located on the mid level with sun porch access and outside stairs to the pool. The large ground level features a family/game room with kitchenette and additional bedroom and bath. Outside features include a private pool with spacious decking, hot tub, outside shower, and ample parking. 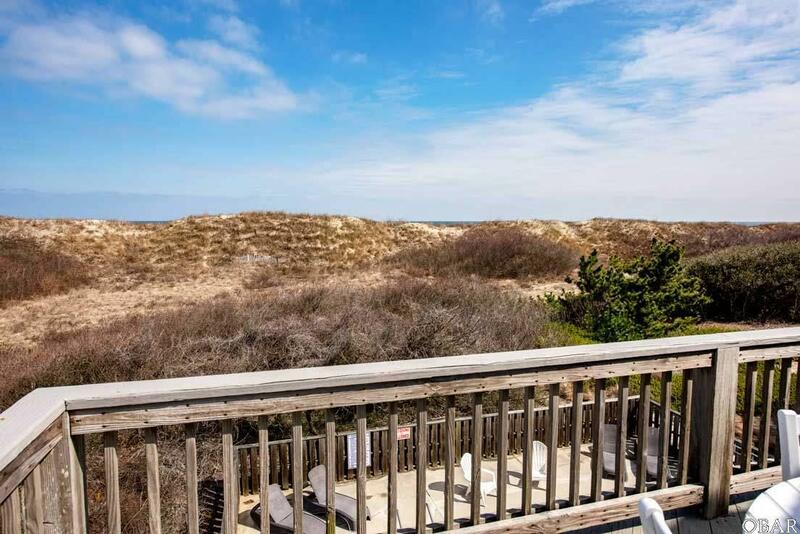 This home boasts a stable dune line, stunning views and convenient location to restaurants and stores. Flood map now lists this home in an X FLOOD ZONE. 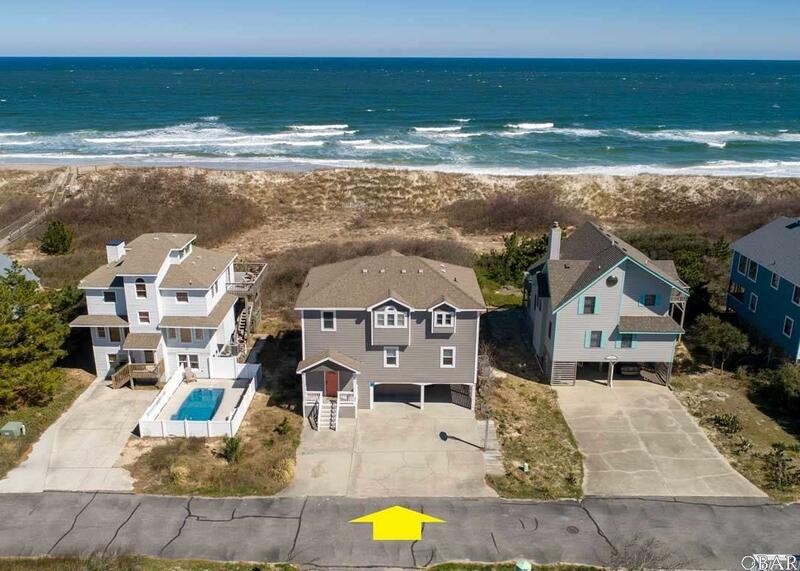 Capture this strong investment property or second home opportunity before it's gone!